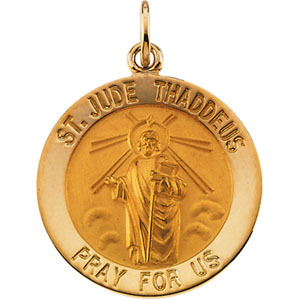 14K Gold Saint Jude Thaddeus Medal. Patron Saint of the impossible. 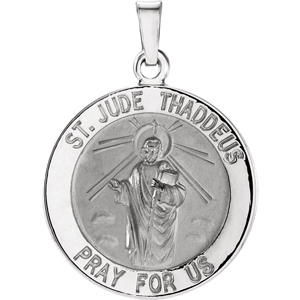 This Saint Jude medal is available in yellow gold and select sizes in white gold.